The FE III RegenerationController is a compact fully automatic control unit for Ferric Chloride etching solutions with HMI display and touch panel controls. The FE III Controller can be fitted to any Chemical spray etching machine to provide constant high speed etching of a wide range of metals including Copper, Brass, Bronze, Nickel, Silver, Alloy 42, Stainless Steel and Aluminium. Main application areas are for the production of printed circuits (particularly inner layers for multilayer PC’s), nameplates and chemically milled precision components. Constant etch rate and etch factor. Increased productivity due to the elimination of down-line associated with solution changes. Less environmental problems due to the elimination of solution changes. 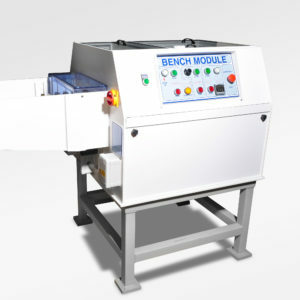 Category: Conveyorised Spray Processing/Etching Machines. Tags: FE III Dosing, Regeneration. The FE III Controller consists of a sensing chamber through which Ferric Chloride is continuously pumped using a bypass from the etching machine pump. Ferric Chloride overflows from the sensing chamber back into the etching machine. Inside the sensing chamber is an electrode, a flow switch and a specific gravity sensor. The electrode is connected to a digital redox meter and is sensitive to small changes in redox potential brought about by metal being etched into the solution. 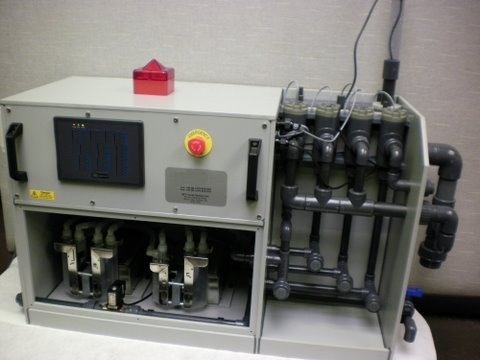 The redox meter controls a replenisher pump which adds FE III Replenisher 1410 (Oxidant) plus Hydrochloric Acid and new Ferric Chloride in pre-calibrated amounts to maintain a constant activity in the etching machine. The specific gravity of the etching solution is maintained at a constatnt level by automatic additions of water via a solenoid valve actuated by the specific gravity sensor. 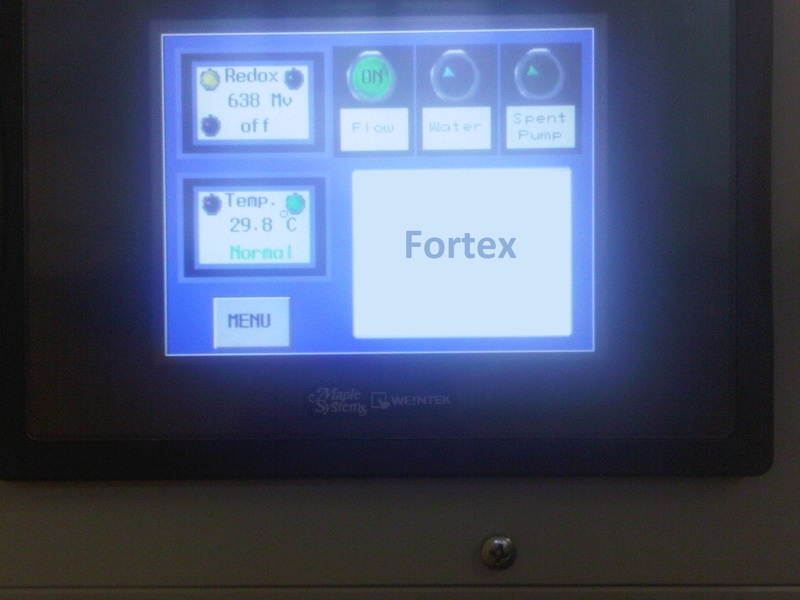 HMI display with touch panel control of all functions and maintenance menus. Platinum electrode housed in PVC holder with Potassium Chloride reservoir. Continuous temperature display with interlock to prevent controller dosing until operating set point is reached. Triple bellows unit with individual flow rate adjustment housed in a PC compartment. Adjustable plastic float and switch housed in PVC sensing chamber linked to a solenoid valve housed in the pump compartment. Three Individual chemical flow switches connected to a flashing alarm to indicate pump failure or an empty chemical reservoir. 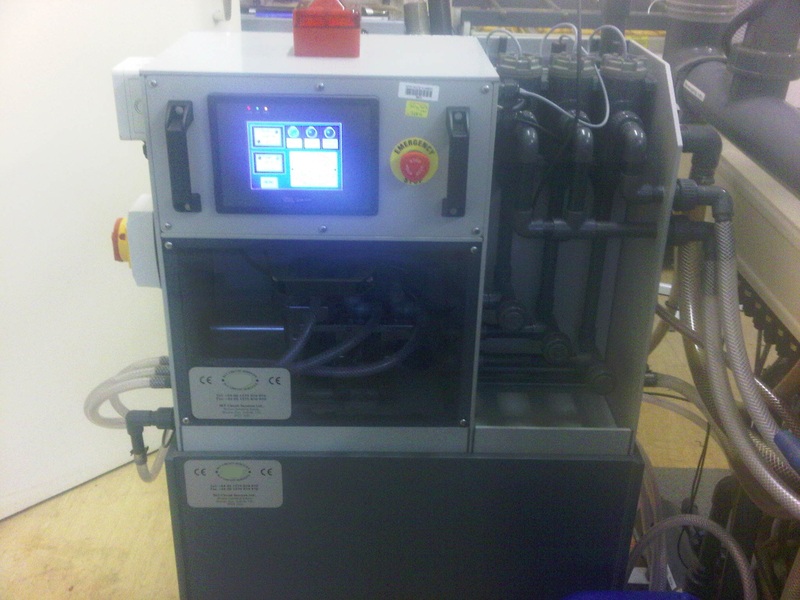 One Flow switch in the sensing chamber to de-activate the pump unit when the etching machine is switched off. Flashing alarm to signal high level on meter, low level on meter, empty chemical reservoir or pump malfunctioning, full spent container. Process lights to signal: flow in sensing chamber, FE III pump feed malfunctioning malfunctioning, Hydrochloric Acid feed malfunctioning, specific gravity control dosing water or spent container full. Temperature indicator with interlock to prevent operation until operating temperature is reached. 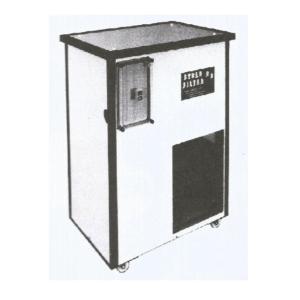 Optional – Level switch with pump for transfers of spent etchant to holding tank or drum. PVC housing with sealed compartments for electronics and pump unit. 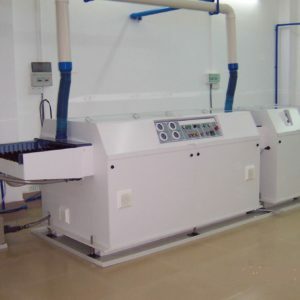 Flexible hose connections to etching machine. Dimensions: 610mm wide, 300mm deep, 450mm high. Power: 220-240 Volts single phase, 5 amps. Mains Water: Supply with isolating valve terminating in 3/8” copper pipe. Copper – 9 Kilos per hour (50m² of 35 micron copper assuming 60% etch). Steels – 5 Kilos per hour. Larger pumps are available on request.